Summer is coming! If history is anything to go by, then us lucky Brits will have a grand total of three days to get our tops off, crack open a cold drink and stumble into the garden before complaining about sunburn the next morning and how having a shower really hurts our skin. Such is tradition and such is life. But if you’re blessed with a nice patch of grass in your home to use in the summer, don’t waste it by laying out a towel and thinking that will do. You can spice up your summer garden with a whole range of furniture, from the cheap and cheerful to the luxurious and impressive. Even something as ridiculous as your own hot tub isn’t as expensive (or difficult to set up) as you might think but you don’t have to extended your budget that far anyway. By spending your money smartly and wisely, you can buy a whole host of items that will make your garden look like it’s been given a costly makeover by a Channel 4 mid-day home renovation special. Here are our picks for the best garden furniture money can buy. There are two things that immediately stand out about Deuba’s beefy sun lounger. First, it’s the most search-friendly name for any garden furniture that we’ve ever seen, presumably stopping short of finding a way to crowbar “fast and furious download ed sheeran free album” in its name. Secondly, and more importantly, this sun lounger is great value for money. 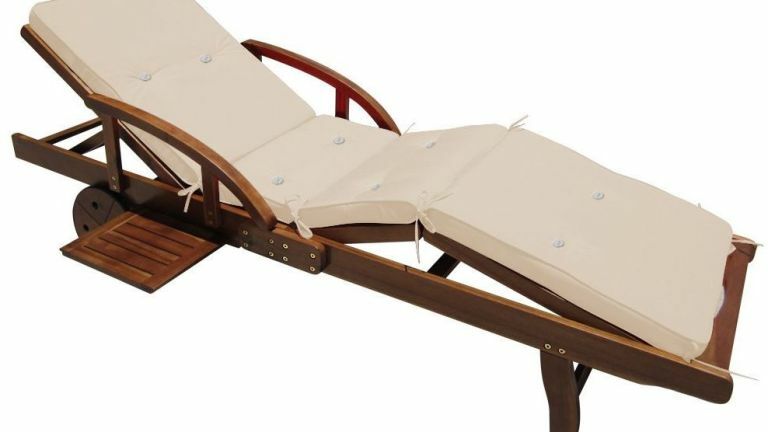 It comes in a flatpack so you’ll have to build it yourself but even if you have sausage fingers and the hand-to-eye co-ordination of a miserable drunk, you’ll still manage to assemble a sun lounger of surprisingly quality. It’s not waterproof, so you’ll need to buy a cover for it, but you’ll struggle to find a cheaper, better way to start fleshing out your garden furniture. Look at it. Just look at it. One look at the Miadomodo Rattan Sun Lounger is all you need to realise that you’re not just buying something to protect you from the fiery ball of death in the sky. No, this thing looks like it’s been shipped in from a DJ Khaled video, such is the level of luxury and class and sophistication. That’s reflected in its price-tag and it needs a cover to protect it from British weather (a problem DJ Khaled never had in his sunny Miami climes). But first impressions count in all walks of life and this is the perfect centre-piece for your garden. Bring guests over, mention mumble something about “oh, we’ll make do” if they asked about seating in your garden, then hit them with this. You can even split the sun lounger into four separate seats. Drinking Prosecco in the sun doesn’t get much classier (or closer to home) than this. Here’s your first line of defence for those unexpected (cough) days in the British summertime when the rainclouds turn up to ruin your BBQ plans. This pop-up garden gazebo measures three metres by three metres, giving it ample room inside to host guests and some furniture, and it takes roughly 15 minutes to set up. It’s sturdy as well, so it can stand up to strong gusts of wind as well as downpours of rain. Although at this point you’d have to ask yourself why you’re persisting with a social gathering in the garden. What will it take for you to abandon your gazebo and move the brunch indoors? Three feet of snow? Flash floods? Tornado warnings? If you want to pimp your garden, what better way to do it than this massive hot tub? When you think of Hawaii, you probably think of hula dancers, colourful leis, and bright blue air jet hot tubs. Lay-Z-Spa can’t deliver the first two to your back garden in Romford but it’s definitely come through with the hot tub. Big enough for four adults and six at a push, this hot tub holds 840 litres of water, which it heats up to 40 degrees. It takes a while to get there but it’s well worth the wait, as you can drink beers/Prosecco/milk (delete as appropriate) in your hot tub and feel like you’re bringing a slice of tropical high life to your garden. This is as relaxing as summer gets, unless you happen to have two trees in your back garden in close enough vicinity to tie up a hammock (you don’t). This swing chair is perfect summer furniture for your garden because you sit in in, you gently bob back and forth, and that’s it. Just slowly cook in the sweltering heat, sipping on your cold drink, using the adjustable roof to block out the sun as it passes overhead. We’re not too sure about the colour, with Outsunny plumping for a deep, dark miserable techno colour scheme rather than something bright and summery, but on the upside it does look classy and sophisticated.